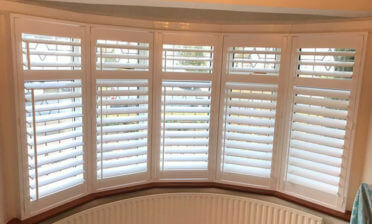 This week we have something a bit different to our usual shutter installations. 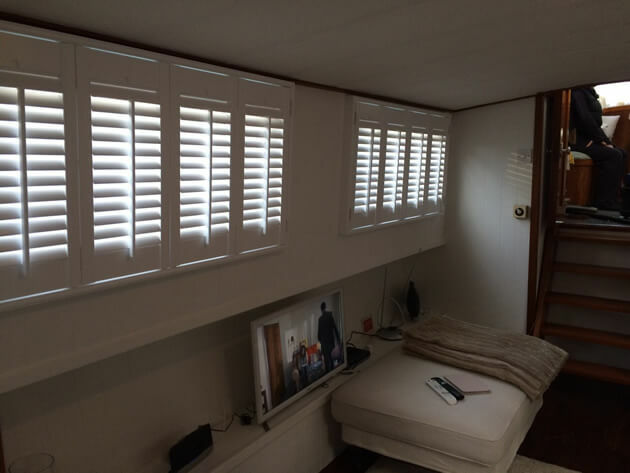 We were asked to fit shutters to a house boat in Chelsea Harbour which was a great experience and really shows the versatility of our bespoke shutters. 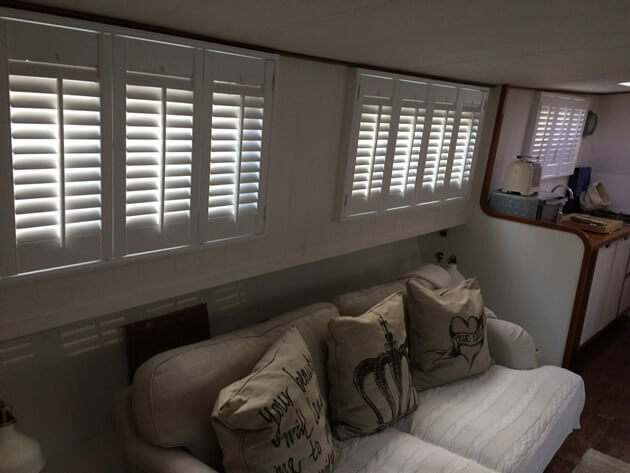 With the boat being at eye level the shutters help create a much more modern and trendy window covering compared to the original net curtains. 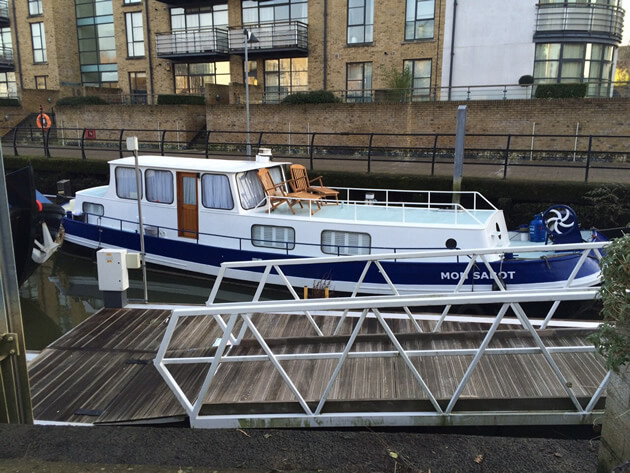 Another advantage is that they provide great privacy and light adjustment on the boat at all times. 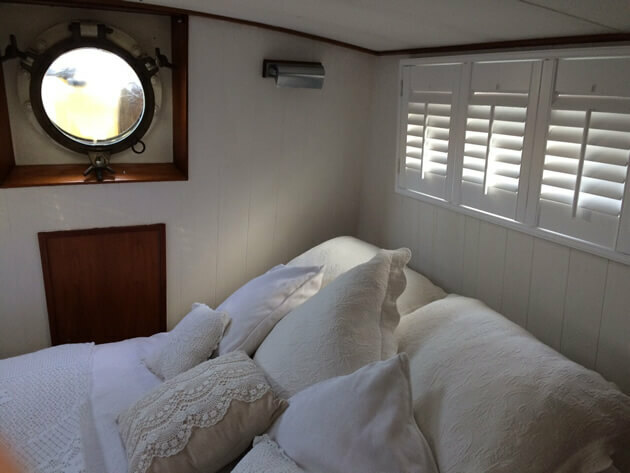 The shutters were fitted throughout the sides of the boat in runs which featured our shutters complete with centred tilt rods and hinged for easy opening of each panel. 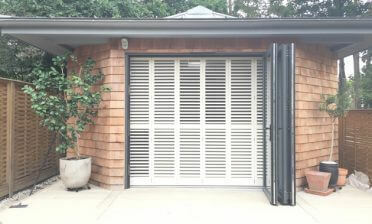 They feature 47mm slats which can be adjusted quickly and easily using the tilt rod for different levels of light and complete blackout if needed. 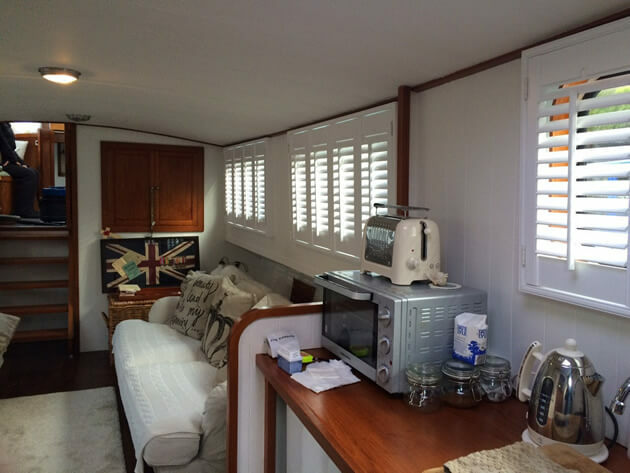 The shutters were finished in Pure White with matching white hinges which blend seamlessly with the boats interior and exterior. 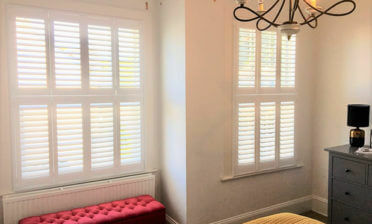 The new shutters have helped bring elegance not only to the inside of the boat, but from the outside as well.